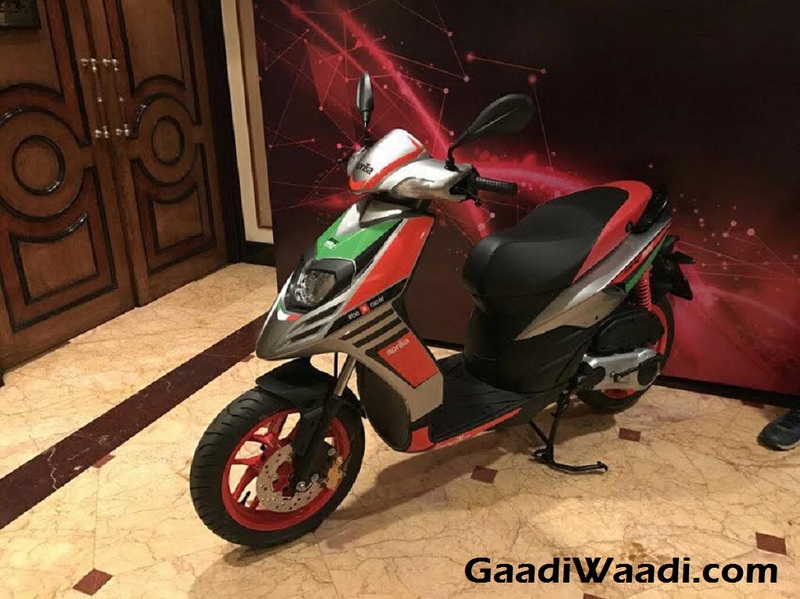 The enormous buzz created in the domestic two-wheeler industry settled down when Aprilia launched the much-vaunted premium automatic scooter called SR150 last year and created a new niche segment. Heralding the famed Italian brand’s foray into Indian scooter space, it stays in line with the sporty theme and performance honed by a barrage of road racing successes in premier motorcycle racing classes over the decades. The Italian two-wheeler manufacturer has introduced the Race Edition of the SR150, with livery inspired from the factory RS-GP 2017 MotoGP bike, at a launch event in Mumbai for Rs. 70,288 (ex-showroom, Delhi) in the presence of Aprilia’s CEO Stefano Pelle. It will be manufactured at Piaggio’s Indian facility in Baramati, Maharashtra alongside the Vespa cousins and cost only around Rs. 3,000 more over the standard model. It will also be available through MotoPlex multi-brand outlets in Pune, Chennai, Cochin and Hyderabad. Coming into performance bits, the Aprilia SR 150 Race Edition gets power from the same 154.4 cc single-cylinder SOHC air-cooled carburetted engine that does duty in the regular SR150. It delivers a maximum power output of 11.55 PS at 7,000 rpm and 11.5 Nm of peak torque at 5,500 rpm. The same Vespa 150’s motor is linked to a CVT transmission which is claimed to be tuned for better acceleration. It should return close to 55 kmpl while the top speed is claimed at 95 kmph. If you have ridden this scooter, you could have easily gone past 100 kmph mark though. The sporty character will be accentuated by the deployment of 32 mm telescopic front forks and single-sided coil springs at the rear. It sits on large 14-inch alloy wheels covered by 120/70 spec tyres. Up front, the SR 150 will have 220 mm ventilated front discs and at the rear 140 mm drum unit for providing stopping power. The suspension springs are said to be tuned for faster acceleration. Based on a tubular open single cradle chassis, the Race Edition measures 1,166 mm in height, 703 mm in width, 1,985 mm in length and features 780 mm seat height with 155 mm ground clearance. The fuel tank capacity stands at 7 litres as all the dimensions remain similar as the standard SR 150. The Aprilia SR150 Race edition is adorned with plenty of cosmetic changes to substantiate its already sporty looks alongside new colour option. 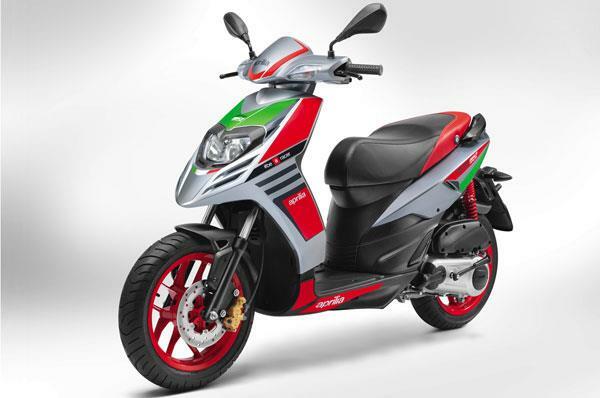 The important visual enhancers are the funky ‘Race’ decals, Aprilia’s signature grey-red-green branding on the sides, red ‘Fluo Russo’ 14-inch alloy wheels up front and rear, black rubber mat with red elements from accessory kit, front brake caliper in gold colour, rear shocks gaining red coil springs, an aggressive silencer and above them all the Maze Grey paint scheme. 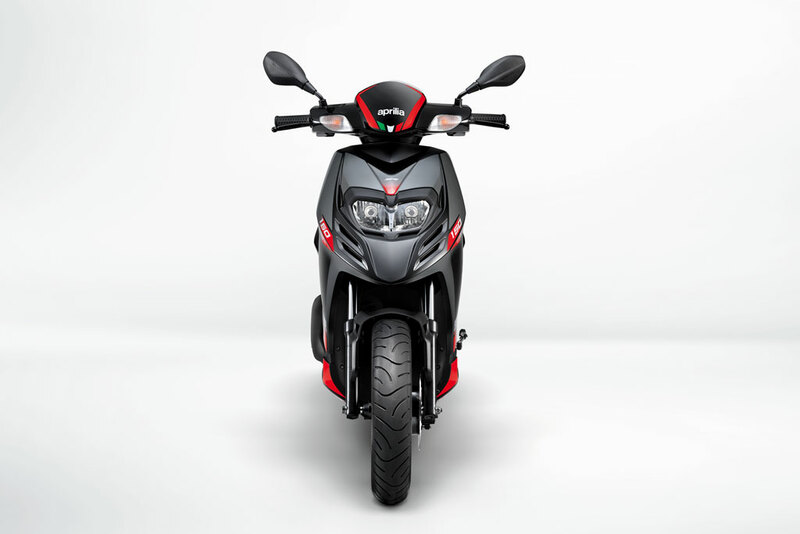 Except for the styling revisions, the overall design stays intact as the SR150 Race Edition gets double barrel headlamps, twin-pod analogue instrument cluster displaying speed, rpm and fuel indication, USB provision and two-tone art leather seat, USB provision and two-tone art leather seat, handlebar mounted turn indicators, vertical tail lamp, bag hook, under seat storage, split grab handles, and so on. 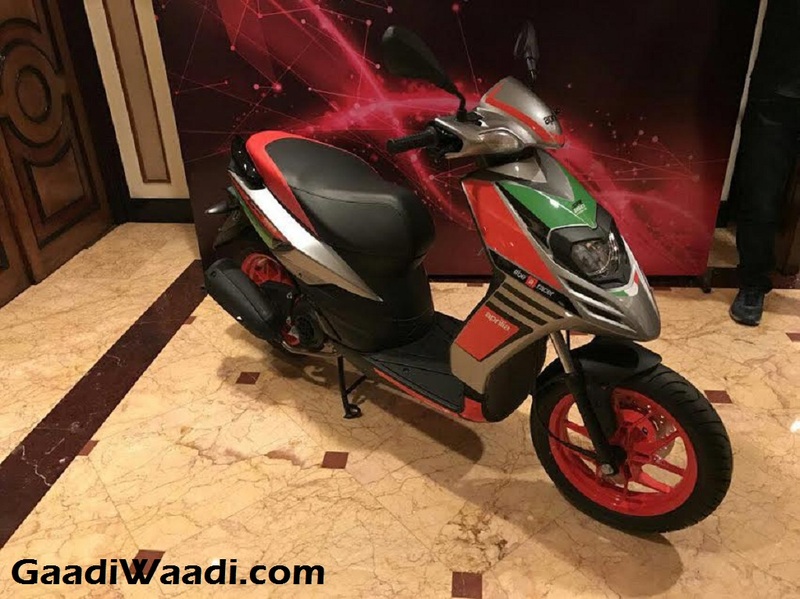 Thus far, the Aprilia sporty SR series doesn’t have a head-to-head rival in the domestic market but it won’t be soon before Mahindra gets in the act and introduce its Peugeot lineup of premium scooters as the demand and popularity have been increasing of late.